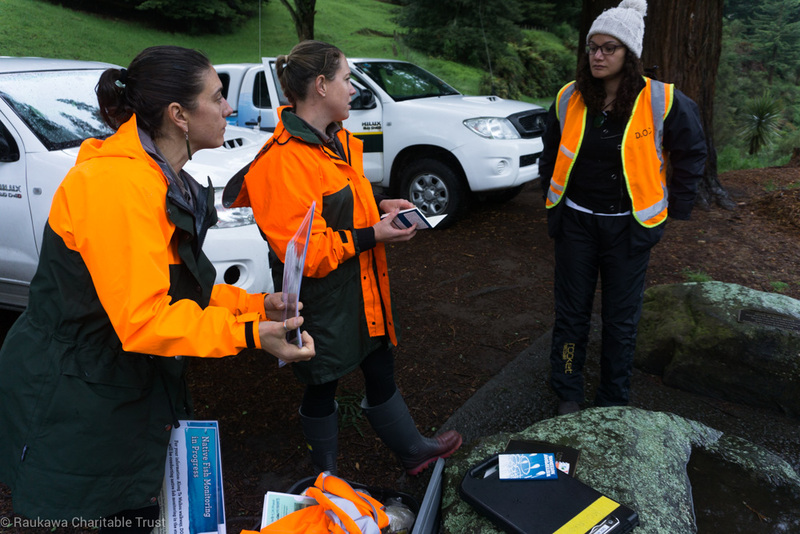 From Wednesday 8 to Friday 10 November Raukawa Charitable Trust (RCT) kaimahi and members from the Raukawa Kaitiaki Rōpū (RKR) joined with Rangers from the Department of Conservation (DOC) to monitor the population of dwarf galaxias in the Waihou awa. 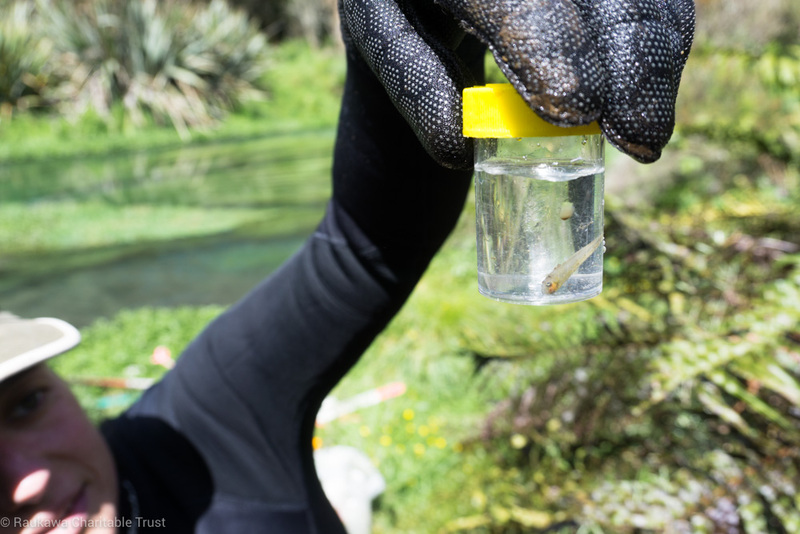 Dwarf galaxias (a species of kōkopu), are a threatened native freshwater fish species with populations found in the Waihou and on the Westcoast of the South Island. 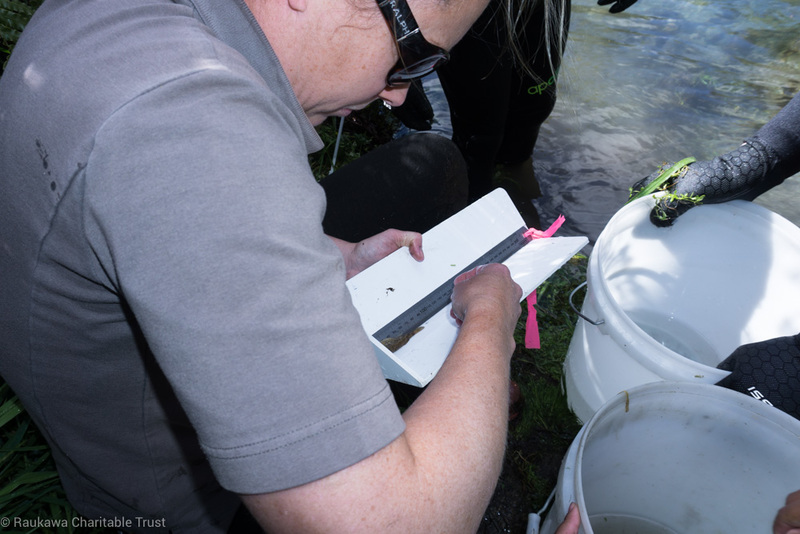 In its fifth year, the monitoring project will provide an insight into population changes in the Waihou which helps improve the overall understanding of the quality of water and environment around the awa. 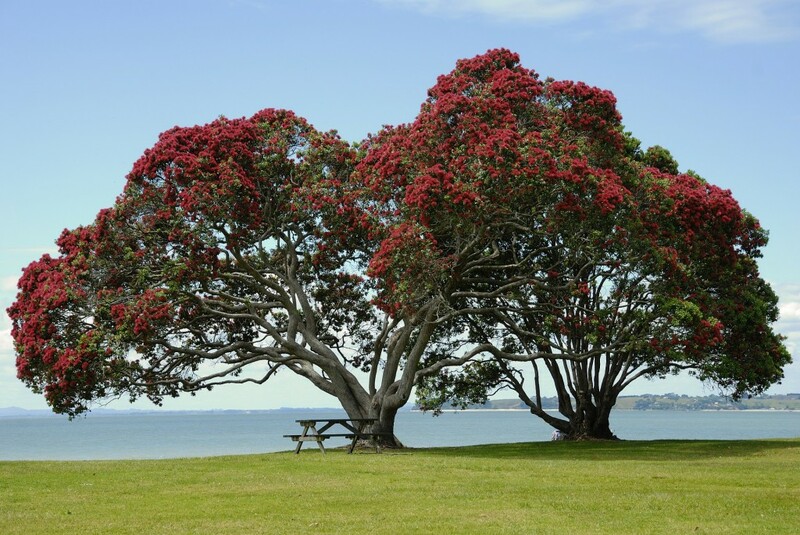 Now that there is five years of data it is hoped that trends will start to be seen that will inform a management plan for the kōkopu and feed into any wider management plan for the Waihou. 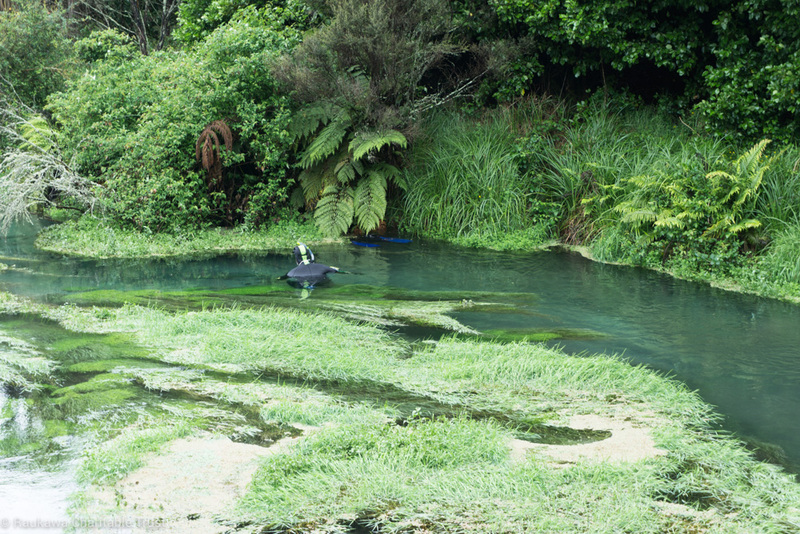 Wednesday morning saw the DOC Drift Dive Team entering the Waihou upstream of the puna to visually check for dwarf galaxias at all stages of their life cycle and any other fish or kōura that might be seen. Followed by setting nets that were checked the following morning, to enable the team to measure the size of the fish caught. 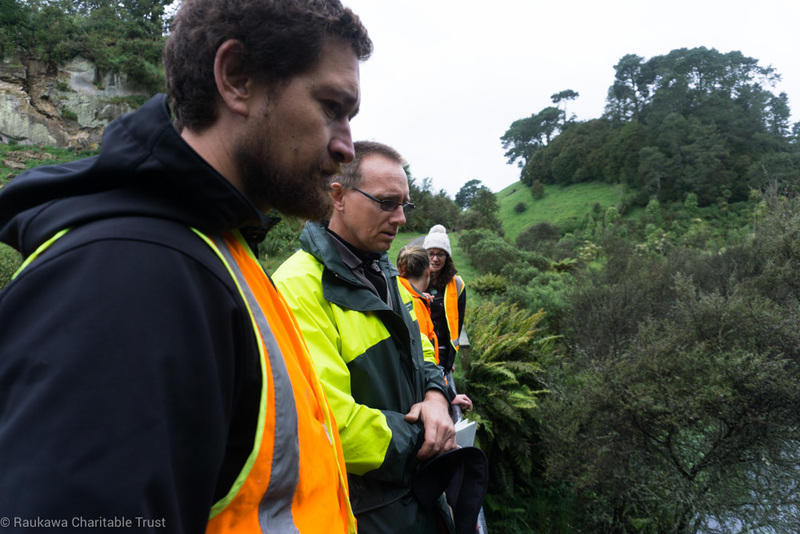 Thursday morning saw the DOC Rangers return to the water to check the nets, supported by Te Ao Apaapa, RKR representative from Tangata Marae. 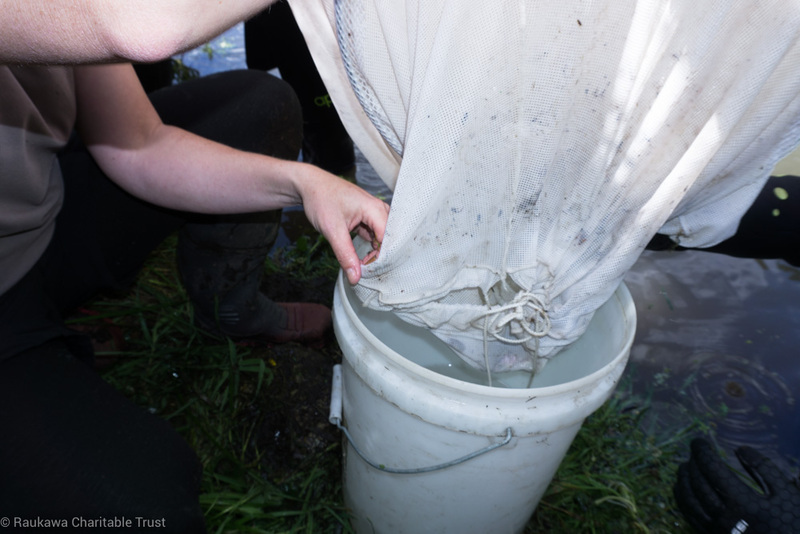 The nets produced not just dwarf galaxias but also bullies, juvenile rainbow trout and kōura. Celia Witehira, Programme Lead, Projects and Implementation is excited about the opportunities that working with DOC on the monitoring project offers.